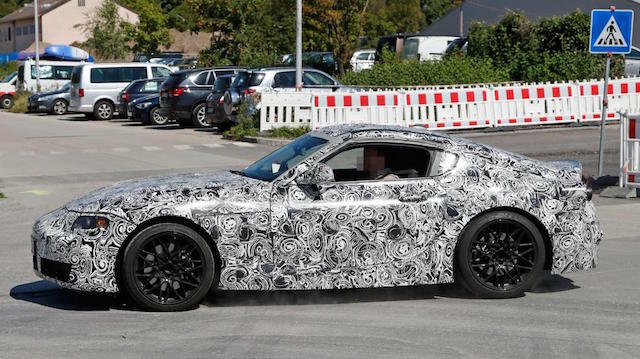 Gleaming prototypes of the new Toyota Supra hybrid sports car have been seen at motor shows for some time, but here we have the production model, heavily disguised while testing at Germany’s Nurburgring circuit. 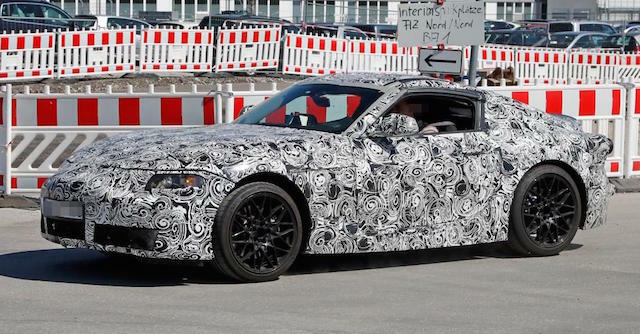 It appears much shorter than the Toyota FT-1-inspired show car and is certainly toned down in terms of styling. 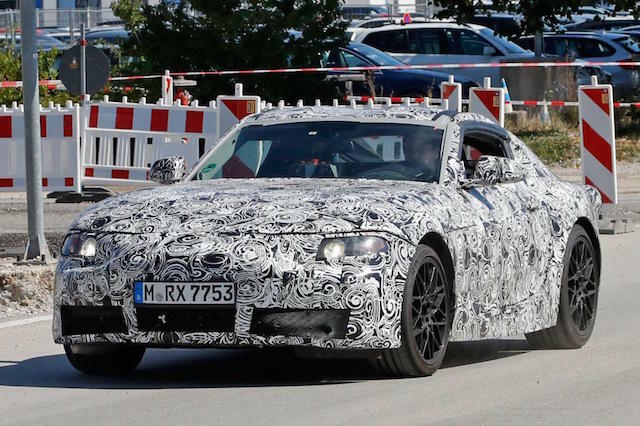 For a start, the long bonnet features a front bumper jutting out from beneath the headlights, the windscreen isn’t as rakish, nor is the roofline, and the show car’s raised rear spoiler is now a boot lip on the camouflaged car. The Toyota Supra is a joint development with BMW, the result of an agreement between the two companies in 2011 to share platforms and technology. 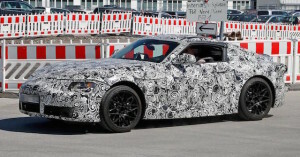 The soft-top BMW Z5, the replacement for the Z4 will be built on the Supra platform. 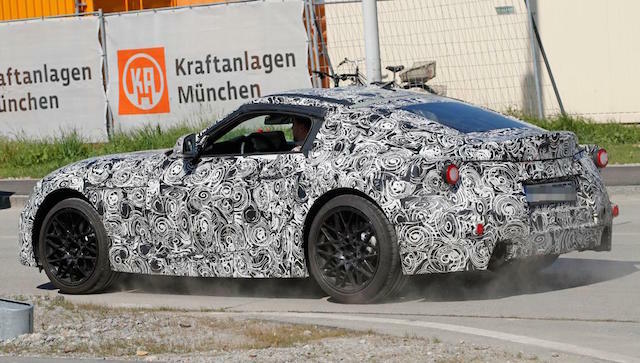 But the Supra is expected to be slightly bigger than the Z5. That would allow Toyota to position it above the 86 in the company’s two-seater line-up, to be a hero car of sorts with much more in terms of performance. 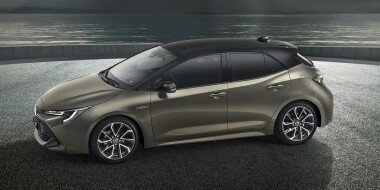 Making it bigger than the Z5 would also clearly separate the two cars and leave both Toyota and BMW free to set their own production targets, unlike the deal Toyota did with Subaru to jointly develop the 86 and BRZ. Toyota builds 12 of the 86 models to every one BRZ. Toyota was a global giant, Subaru wasn’t. Reports from Europe say the new Supra will get a straight-six engine from BMW’s powertrain stable, forgoing the four-cylinder engines of lesser Z5s. But whatever the engine, Supra’s ace card should come in the form of hybrid-electric technology used in Toyota’s Le Mans race cars. 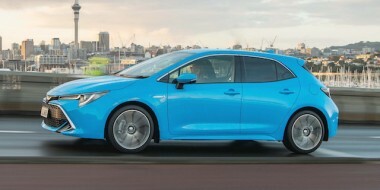 There will be electric motors on the front and rear axle, with a petrol engine driving the rear wheels. 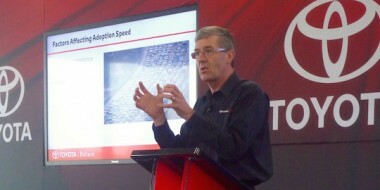 Electric power will come from regenerative braking and will be stored in a lithium-ion battery pack. 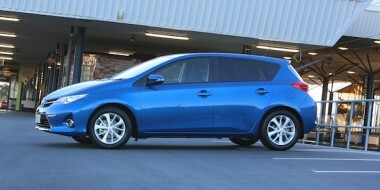 Such a set-up allows both Toyota and BMW to eventually offer plug-in hybrid options. Supra is also expected to get Toyota’s first-ever dual-clutch transmission, in place of the CVT gearboxes used in existing Toyota and Lexus hybrids. Toyota is thought to be targeting a kerbweight of less than 1400kg for Supra. Both it and the Z5 are likely to be unveiled within months of each other next year. Toyota has already made trademark applications for the Supra name in Europe, the US, and Australia. The last Supra went out of production in 2002.